I worked with The Johnson Group towards the end of 2014 and they helped me acquire a beautiful lot. Brian Johnson and Mark Johnson were very responsive and helped me quickly, and efficiently put in a smart offer that was accepted by the seller. I could not be happier with my first-time lot purchase as they were more than helpful and knowledgeable. I would highly recommend The Johnson Group to anyone who is looking for an honest and efficient experience. 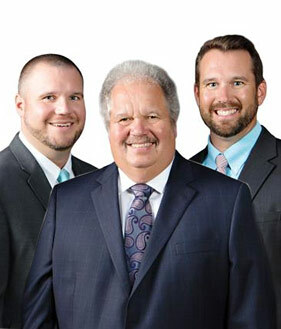 "Mark Johnson and Brian Johnson went above and beyond to help us find the perfect house that fits our family. They were very knowledgeable about the process... continued"